Whatever the cause of the Atlantic salmon spill on Cyprus Island, aquaculture operations have been put on hold in the Pacific Northwest after a moratorium was placed on new and pending permits for fish farming in Washington State. Governor Jay Inslee and Hilary Franz, Commissioner of Public Lands, jointly imposed the freeze on permits after the Cooke Aquaculture Pacific net pen breech occurred on August 19th. Cooke leases public bedlands from the Department of Natural Resources, and is now in violation of that lease agreement. In order for Canadian based Cooke Aquaculture Pacific to be “in compliance” with the terms of their lease, they must clean up and manage pen failures at the Cypress Island facility said Cori Simmons, head of communications for the Department of Natural Resources. 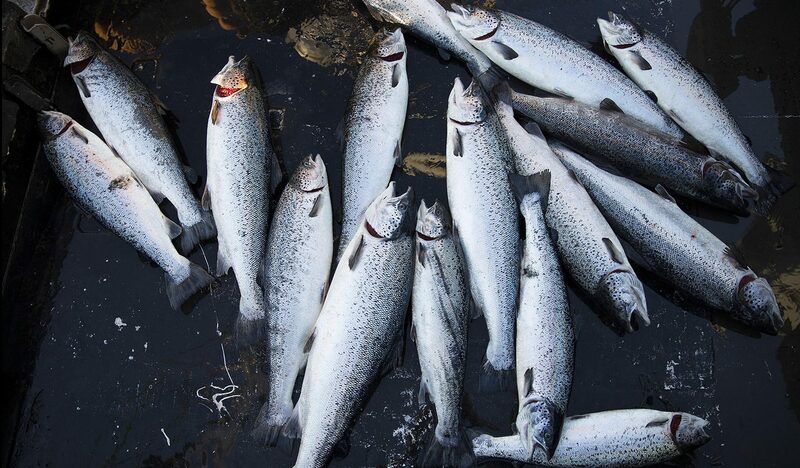 If you happen to be fishing in the south Bellingham Bay area near Cypress Island today, the Washington Department of Fish and Wildlife would like your help cleaning up a large Atlantic salmon spill. 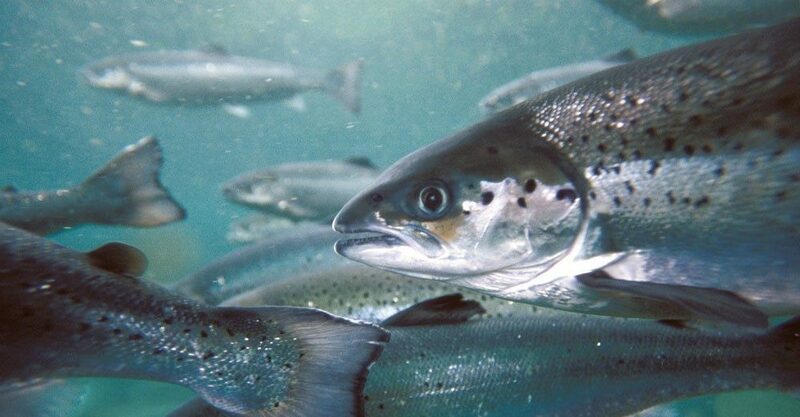 A net pen which held approximately 305,000 Atlantic salmon, broke over the weekend, releasing thousands of farm fish into the waters surrounding the San Juan islands. In a statement released this morning by Cooke Aquaculture Pacific, a division of Icicle Seafoods, Inc., Cooke speculated that “exceptionally high tides and currents coinciding with this week’s solar eclipse” caused the damage. Cooke estimates several thousand salmon escaped following “structural failure” of a net pen.